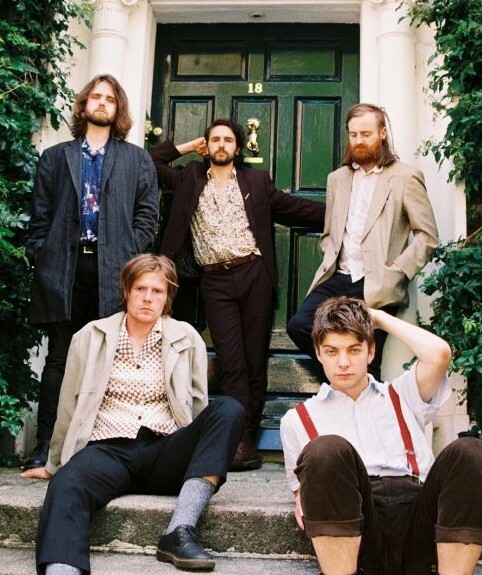 Fontaines D.C. met as a quintet in Dublin, influenced and driven in equal measure by the rich history of their hometown’s counter-culture, their response has been to make concise and immediately authentic indie-punk that has done anything but fall on deaf ears. Singles such as ‘Liberty Belle’ and ‘Hurricane Laughter’ call to mind the likes of the Modern Lovers, The Fall, Iggy Pop and The Strokes, seamlessly blending immediate lyrical hooks with melodic golden-era indie instrumentation, and ‘70s Stooges punk thrust, all of which is strewn with defiant rock and roll overtones. On their AA Side Single ‘Chequeless Reckless/ Boys In The Better Land" the band decided to delve even deeper into their influences (which they personally cite as spanning from The La’s, to The Pogues to Buddy Holly) employing hypnotic, kraut-rock infused cyclical riffs, whilst channelling Dublin into their concise and often-unassumingly poetic lyrics with a distinctive gritty Irish drawl.